The Society for Polish Culture in Seattle (TMKP), the editors of the quarterly Gazetka Polonijna and the Fr. Twardowski Polish School in Bellevue invite members and friends of SPC and their families to the annual potluck picnic. There will be games and fun for adults and kids. The park boasts a nice children’s animal farm and many nature trails. Everybody is invited! The Burke Museum invites to a reception for an exhibit featuring winners of the most prestigious international wildlife photography competition organized yearly by the BBC and the Natural History Museum in London, UK. The exhibit showcases 90 photos; the winning photographers come from countries all over the world, including Poland. The tournament continues over the weekend of July 21-22 with Semifinals scheduled on July 27 and the Final on July 29, 2006. More: All Nations Cup, PKS always looks for new players age 17-40, contact Michal Pietrzyk at michalp@comcast.net, 206-228-8227 or Piotr Warczak at piotrwar@yahoo.com; 206-769-3840. This year marks the 10th anniversary of death of Krzysztof Kieslowski, a famous Polish film director. 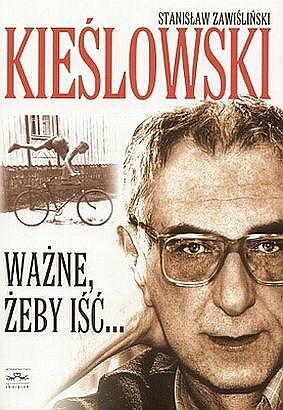 To commemorate this event, the Polish Book Club of Seattle has chosen, as its July book, “Kieslowski. Wazne, zeby isc” by Stanislaw Zawislinski, published by Wyd. Skorpion in 2005. This book is billed as the first full biography of the famous director, that includes unknown facts, letters etc. Zawislinski wrote or edited other books on Kieslowski as well.